Lock in a great price for Club Salima – rated 8.1 by recent guests! The perfect green territory, the cottage/house is very nice and clean, the staff is very helpful and friendly (great support from Maria and Emrat (if I mention his name correctly)). The food is excellent, though a bit boring repetition...but, it's ok, I love Turkish kitchen! Everything was marvelous, especially the pools, the resturant, the amazing animation team and housekeeping. We were impressed - service, food, the green environment. 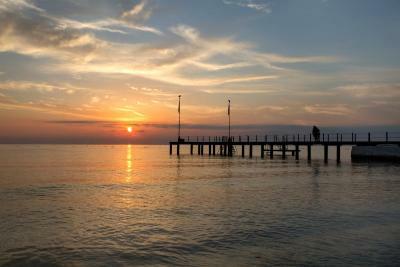 It is a very quiet place, perfect for relax, while offering plenty of activities during the day and evenings. Animations are well prepared and executed, rich, funny, you would enjoy a lot. The personel is very friendly and willing to help any time, about anything you want - rental, transport, some extra service, just about anything. Great place! Nice holiday village as rooms are clustered in 4 room cottages - 2 first floor and 2 second floor. Easy access to private beach with plenty of shezlongs. 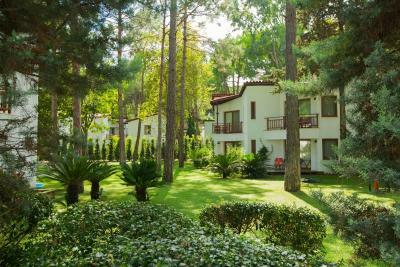 Family friendly, in the middle of nature, nice beach, swimming pool. Отель превзошел наши ожидания: очень красивая территория, хороший вход в море, расчищенная от камней береговая полоса; великолепная разнообразная еда. Повара очень старались: много овощных блюд, салатов, мяса, рыбы, выпечки, пирожных. Великолепные национальные лепешки, которые пекутся прямо на месте. Отличная анниманиция! Club Salima This rating is a reflection of how the property compares to the industry standard when it comes to price, facilities and services available. It's based on a self-evaluation by the property. Use this rating to help choose your stay! One of our best sellers in Beldibi! Featuring a private beach area, 2 outdoor pools and a Turkish bath, Club Salima offers basketball court, archery and mini football field. Diving and dance courses are offered. Free Wi-Fi is available in public areas. Air-conditioned rooms of Club Salima include a satellite LCD TV, safety deposit box and a balcony. Private bathroom is equipped with a shower and a hairdryer. The main restaurant serves lunch and dinner in buffet style with dishes from international cuisine. Buffet breakfast comes with a freshly squeezed orange juice and Cavaliere À La Carte Restaurant offers Mediterranean specialties. Pool Bar, Mediterranean Bar and Coffee House are ideal for hot and cold drinks. Guests can benefit from the fitness center, massage facilities and aerobics. A playground, children’s pool and a Mini Club are available. You can enjoy activities such as air gun, darts, table tennis and billiards. 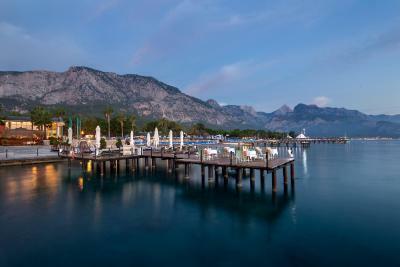 Antalya Airport is 30 mi from Club Salima. When would you like to stay at Club Salima? Air-conditioned room includes a satellite TV, safety deposit box and a balcony. Private bathroom is equipped with a shower and a hairdryer. Guests staying in this room can benefit from special 20% discount on SPA services. Featuring a spa bath, living room and a reading room, this 328 ft² villa features a electric kettle, tile/marble floor and seating area. There are two bathrooms in this villa. Featuring a living room, this suite has a balcony and air conditioning. This twin/double room has a balcony, soundproofing and sofa. House Rules Club Salima takes special requests – add in the next step! Club Salima accepts these cards and reserves the right to temporarily hold an amount prior to arrival. All local drinks, alcoholic and nonalcoholic, are included between 10:00 and 00:00. The restaurant may need some more organizing to be more attractive! Lack of internet access in rooms. This is a big minus for me. Towels should be available at the beach side too. 1. Not enough beach beds. You need to get up early (7-8am) and literally run to the pool and to the beach to reserve your own beach bed, otherwise there is no chance to get it. 2. Staff at the pool bar needs to learn how to smile. They do everything fine but with a face expression you bugged them, and they are too tired of you. 3. Beach and sea entrance: will be great if the huge stones will be removed - they are dangerous and not fun for both adults and kids. The management is concerned ONLY about cutting the costs. The food is horrible. Some of the guests would eat anything you put in front of them but as far as the variety, the taste, the authenticity... you won't find anything nice to eat at their main restaurant. You can cut costs but the taste could be nice. Nope not here! The wine selection is even worse. They want you to buy wine so they offer a cheap bad wine. They push fruit cocktails which costs them less. Guests, food and management are all CHEAP! The price however is like other hotels so value for the money is not good. So book room only and get thee food at their a la cart restaurant if you must go to Salima. I would recommend Club Ali Bey instead. I did not like anything. Foods are terrible for 5 stars hotel (Yemekleri çok kötü), wifi is not working on the rooms and even in the common area hardly got connection, you have to pay money to use computer with internet if you can find someone in the internet cafe. Reception area is terrible.